UFO’s – In quilting terms, they’re those unfinished quilting projects that we were so excited to start, and then, somewhere along the way, set aside. You’ve been meaning to get to them, they’re sitting there begging to be finished, but you never seem to find the time. There’s no shame in that – we’ve all been there – in fact, we’re right there with you! With so many beautiful patterns to choose from and techniques to try, it’s no wonder that our creative “itch” is pulled in so many different directions! But, we’re here to help you! We’ve set aside a special evening for you to come in to the store and take advantage of our comfortable, well-lit classroom which is set up to give you the space you need to work on projects both large and small. And, what better time to do so than on a dreary, cold night in February! During the first hour of the evening, we will also give you an opportunity to see how you can quilt even king-sized quilts on your own, either in your home or in our store, using a space efficient frame that is the perfect size for just about any room. Just think - no need to send them out to be long-armed anymore! You’ll be amazed how easy and cost effective it is! Requirements: There will be no instruction provided. 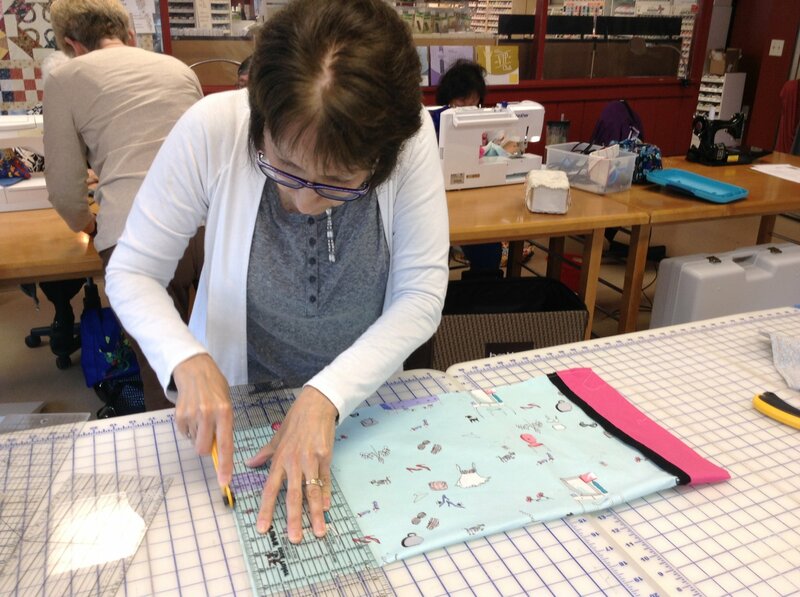 This event is intended to be an evening when participants can come into the store and make use of the classroom facilities to complete their quilting projects. Participants are responsible for bringing their own sewing machines, projects,and sewing/quilting supplies.